Temperature settings give users more control over their vaporizing experience. Higher temps result in more potent highs, whilst lower ones result in gentle and functional effects. Vaporizing cannabis has become an extremely popular way of getting stoned. The method is recognised as being much healthier than smoking joints and blunts, which are associated with carcinogens. Accuracy is another feature that vaporization offers that smoking blunts, joints, and bongs do not. 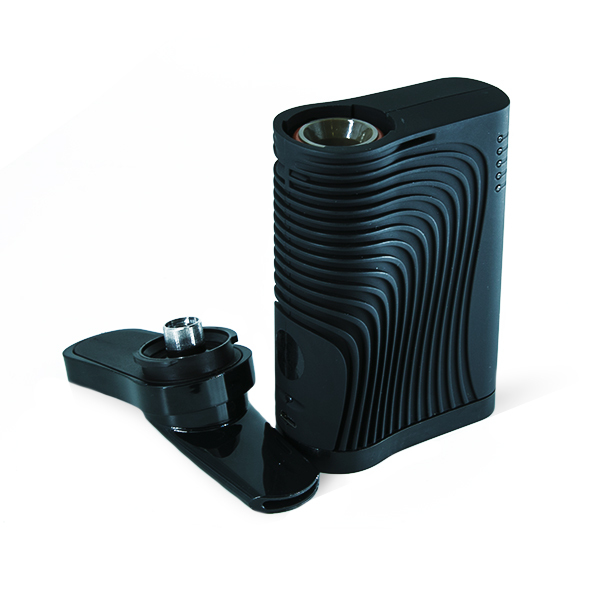 Many models of vaporizer allow users to adjust the temperature settings. This, in turn, allows them to change the effect of the high that they experience. Cannabis contains hundreds of different chemical compounds, many of which contribute to the high generated from vaping the herb. The two main contributors are cannabinoids and terpenes. THC, the predominant psychoactive cannabinoid, is one such example. This is also true of CBD, which is a cannabinoid chiefly known for its medicinal uses. These compounds act upon the endocannabinoid system to achieve many of their effects. Terpenes also mediate the experience alongside cannabinoids via the entourage effect. These aromatic compounds offer diverse array of smells, flavours, and physiological effects. Each of these “ingredients” features different vaporization points, which is what makes temperature such an important factor when vaping cannabis. The ideal temperature of vaporization depends on the desired effects. Most consumers will be vaping to get high, and will therefore want to set their devices to vape at 200°C. This is the temperature at which cannabinoid acids such as THCA and CBDA are decarboxylated, converting them into active THC and CBD, respectively. Decarboxylation occurs with heat, and results in the removal of a carboxyl group, creating a structural change that turns inactive precursor compounds into viable active constituents. Although 200°C is the decarboxylation threshold, higher temperatures yield more when it comes to cannabinoid content. Vapour consisting of 77% cannabinoids has been achieved at a temperature of 230°C, as opposed to only 24% cannabinoids achieved at 170°C. However, 230°C may be considered too hot. Cannabis researcher Dr. Arno Hazekamp has stated that 210°C is the optimal vaping temperature. This temperature allows for the best balance between cannabinoids and terpenes, and also results in a smooth hit. Higher temperature settings than this may yield more cannabinoids, but the herb may start to burn. This will result in harsher hits and the possibility of combustion taking place, which can produce carcinogens. Furthermore, less terpenes are available at higher temperatures. A less intense high will be produced when setting your vape to lower temperatures. Temperatures of below 180°C will result in vapour that is dense in terpenes and low in cannabinoids. Vapour of this quality is ideal for some users. It will provide a less overwhelming high that can be used throughout the day to boost focus and feel awake and stimulated. Additionally, the terpenes bring their own effects into the mix. Terps such as myrcene and limonene can take the edge off stress and anxiety. Just like terpenes and cannabinoids evaporate at different temps, so do individual cannabinoids. THC and CBD evaporate at temperatures 10°C apart. Is this gap wide enough to be able to isolate them using a vape? Most likely not, or at least not with current vapes. For users seeking higher levels of CBD, it’s better to opt for high-CBD flowers or extracts completely devoid of THC. The Boundless CF’s short heat up-time, a pleasantly smooth yet full-flavoured vape and the extra-large capacity make the Boundless CF stand out.